Antunes, L.F, Souto, A, & Vitányi, P.M.B. (2013). 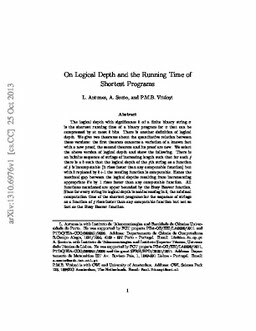 On Logical Depth and the Running Time of Shortest Programs. arXiv.org e-Print archive.